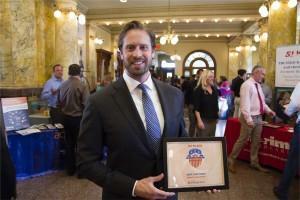 In May, the Colorado Springs Business Journal held its annual Best in Business competition. Everyone in the Colorado Springs community was invited to vote for their favorite businesses in dozens of categories. During a reception on June 30, all of the winners were revealed through the published Best in Business edition of the CSBJ. Attorney David McDivitt, who is the Executive Vice President of McDivitt Law Firm, and several other Team members from McDivitt attended the reception at the Pioneers Museum. The evening was centered on local businesses recognizing other outstanding local businesses. 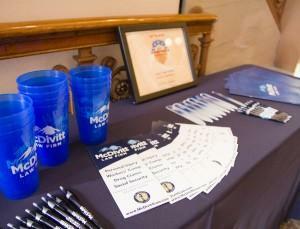 The legal experts at McDivitt Law Firm has been serving the Colorado Springs community for more than 40 years. Earning this award backs the firm’s mission of providing legendary legal services to each of its clients. The firm’s commitment to the community extends outside of the office as well. Through McDivitt Makes a Difference, the firm is continuously working to give back. Committed to helping others, the law firm participates in programs throughout the year. Some of these efforts include paying for safe cab rides on designated holidays, sponsoring a local elementary school and supporting area non-profits. While providing legal representation is the core of the business, this community involvement is what connects the firm to all areas of Colorado. Receiving the recognition of Best Law Firm from the business community of Colorado Springs and the Colorado Springs Business Journal is an honor to everyone at the firm, and McDivitt Law Firm looks forward to continuing to provide the same level of service to the Colorado community for decades to come.